Cookie Cat is here to keep your hydrated! 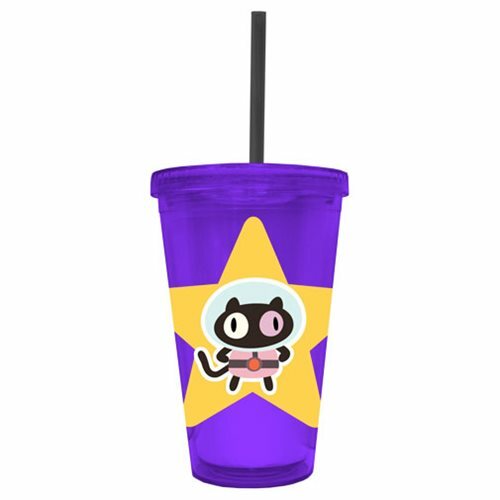 This Steven Universe Straw Cup is a deep purple color with a fun image of Steven's star and Cookie Cat standing in front of it. Holds up to 16 ounces of liquid. Hand wash only. Not dishwasher safe. Do not microwave. Measures approximately 6 inches x 4 inches x 4 inches. Ages 15 and up.